And that’s it. You access the entrance to Petra from the town of Wadi Musa and it’s at the bottom of a hill no matter which way you come at it. You might not think this matters, but it does. After a long day of exploring, the last thing you want to deal with is a long walk back to your hotel! And since you’ll be ravenous after that long day, you need a hotel that gives you lots of food for a reasonable price so that you don’t end up having to walk in search of grub. To help you pick a hotel that best meets your needs, I’ve given you three great options below. Or, click here for a list of all the hotels in Petra. For my time in Petra, this is the hotel that I stayed at and I was quite pleased with my entire stay. Rooms were clean and the standard size of an American hotel room. The wi-fi worked well and you get a great view of the sunset from the rooftop. In terms of location, it’s just a short few minutes walk to the visitor’s entrance of the archeological park. The walk to the park is downhill, which means it’s uphill on the way back. Thankfully it’s not too steep. However, you will walk past where the taxis park and every single driver will ask if you need a ride as you walk past – both when you go to and from the park. Breakfast and dinner at this hotel are served buffet style, which is perfect for the hungry hiker. Start your day by loading up on a hearty breakfast (and maybe sneak a few things into baggies for later on your hike like I did). And when you return from your day of adventure, you can stuff your face at the evening buffet. You don’t even need to go change out of your sandy hiking boots and pants cause most everyone eating will be just as dirty, sweaty, and tired as you are. The staff is all very pleasant, including the dining room staff, and I think that this place is a great value for the location. But the best part is that you get all of this at a really low price. This is one seriously cheap hotel that offers amenities that you’d expect at a much higher nightly cost. If walking back to your hotel up a hill once you’re done for the day doesn’t really appeal to you, then the Movenpick Resort is the best choice for you. This hotel is literally directly across the street from the entrance to Petra. Can’t get any closer than that! The obvious downside to this hotel is that it’s definitely one of the pricier options. So it’s definitely not the best value for the money. And though I didn’t stay there, other travelers have mentioned that the restaurant food at this hotel can be hit or miss, with high prices all around. A total of seven restaurants are in the property, with one serving buffet style for breakfast, lunch and dinner. While this hotel looks really nice in the photos, I’m happy that I saved a little money by staying at the Petra Moon Hotel. 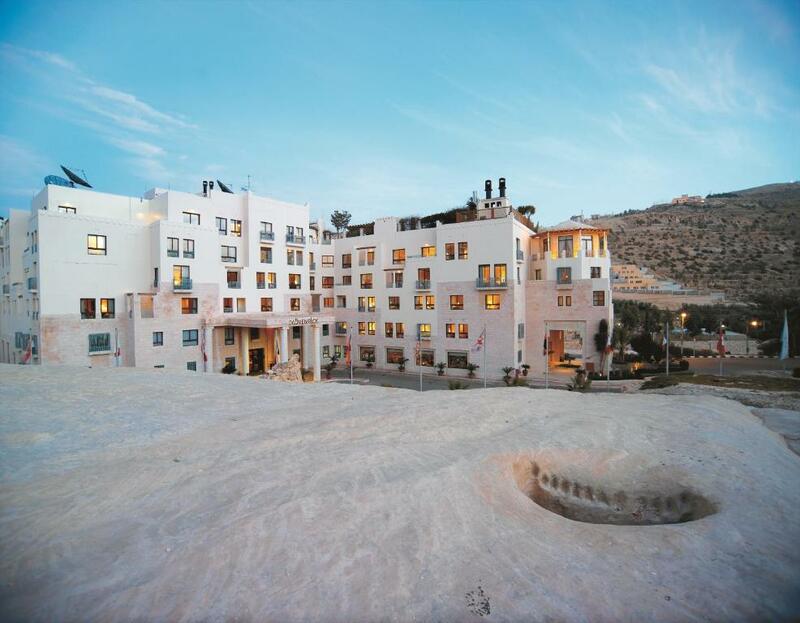 If you prefer to stay more in the middle of all the action of Wadi Musa instead of as close to the entrance of Petra as possible, then this hotel is a good option for you to consider. It only takes a couple of minutes walking to be on the main street in town where you can find all of the shops and restaurants. And don’t worry, you won’t have to make the trek to the park entrance on foot! Each morning the hotel arranges a car to take tourists to the entrance. Though, if you do decide to walk it will take you around 30 minutes to get there. 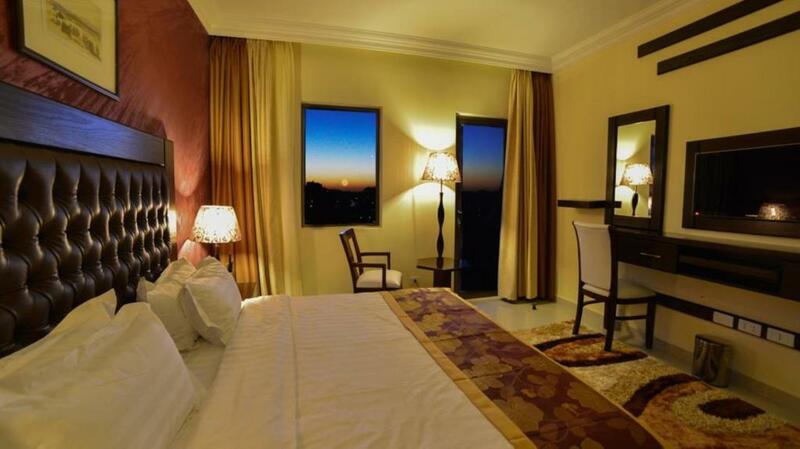 This hotel is run by a local family and has a very boutique hotel feel to it. You can eat on-site with buffet style dining at breakfast and dinner, though some travelers have reported that the dinner buffet is not available every night. Since you’re centrally located, this likely won’t be an issue with so many other restaurants in the immediate vicinity. Travelers have also reported that the wi-fi is a bit spotty. If you’re on a budget and want to stay more in the city center, then this is definitely a good choice to consider. But, if you want a great view and closer proximity to the park, then the other two hotels listed above will be a better option for your stay. This by no means exhausts the available hotel options in the Petra-Wadi Musa area. 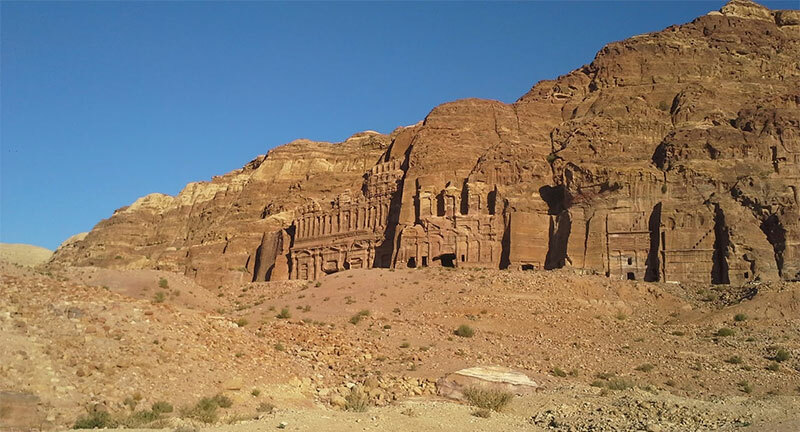 Click here for a list of all the hotels in Petra.